1. 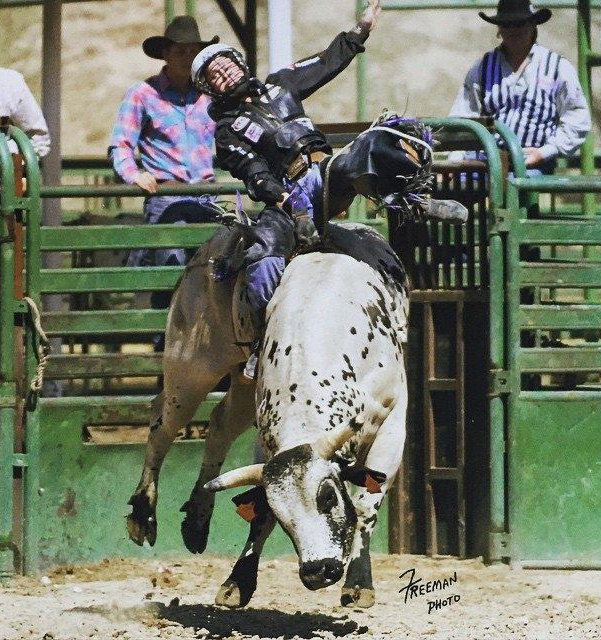 Trey Benton III, 88.5 points on Wayne Vold Rodeo’s VJV Whiskey Hand, $26,231; 2. Sage Kimzey, 88, $20,231; 3. Joe Frost, 87, $15,654; 4. Roscoe Jarboe, 86, $11,000; 5. Garrett Tribble, 85.5, $6,770; 6. Chase Dougherty, 84, $4,231.